Hudson Baby offers premium quality, stylish baby blankets at affordable prices. 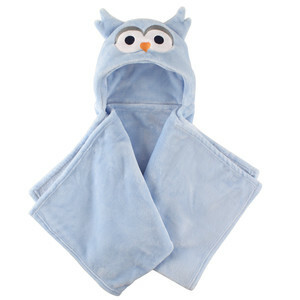 Hudson Baby Plush Hooded Blanket is made of super soft, cozy fleece material to keep baby snug and warm. Our hooded blankets are generously sized at 28x40 inches to cover baby from head to toe. 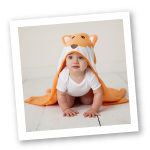 The animal hoods will make your baby's blanket more fun than ever to use and can be used for toddlers as well.